One of the most wonderful aspects of this little business is the need to keep in touch with teachers. When I visit schools, the greatest benefit for me is the ability to talk about the reading programmes, see the resources and hear what else the schools are involved in. This has been incredibly rewarding as I visited Nelson, Wellington and surrounding areas – thank you so much for your warm welcome (literally and figuratively speaking!). From the little school at Hira where I got to share with all the staff (what a wonderful spot with wonderful teachers! ), Hampden Street school in central Nelson where I saw how fabulously our resources fitted into ILEs (Innovative Learning Environments), Maitai School which provides high quality learning and therapy opportunities for students of all ages in the Ongoing Resourcing Scheme (ORS) to Pukerua Bay School with their play based learning focus. I discovered some great ideas along the way and shared with many fabulous schools. I thought that keeping these experiences to myself was a little selfish and so decided to share with you all some of the highlights in this mail out. As I walked up the steps to Hampden Street School a girl, around 8 years old, was problem solving her desire to make music with her Makey Makey device and sheets of aluminium foil. While being beautifully polite in her answering my questions she was totally engrossed in her activity and I felt my intrusion into her focus. Resolving to check on her progress again as I left, I continued on to my meeting with Catherine Barris, DP and Junior School leader. Hampden Street School is the first Nelson Primary school to have to enforce zoning and their success with adopting the ILE model apparent. Seeing that our resources would fit well into the ILE structure and their Literacy block they signed up and I recently talked with Catherine about how they were using the activities. She stated that they were able to pull relevant activities and mix and match ideas even if there were not activities directly linked to a specific book. They were using the reader The swamp eggs written by Jo Windsor and illustrated by Richard Hoit. This reader linked to other readers we did have activities for and these were able to be shared either with the relevant readers or adapted for the existing book. The generic material was really useful to for reinforcing specific skills and building language patterns. 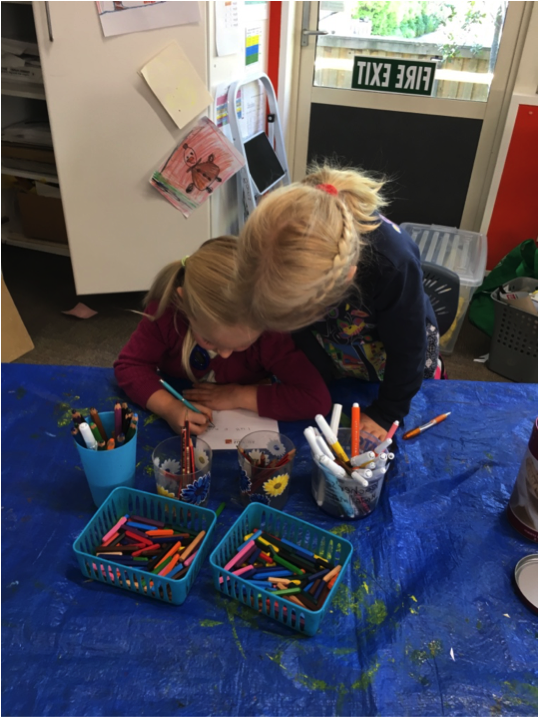 Pukerua Bay school’s junior levels are fully play based and opportunities seized on by the teachers to interact, add to and extend skills and understandings as the children self-direct their play. The thing that impacted me most, as a teacher and mother of three boys with varying degrees of dyslexia, dyspraxia and dysgraphia (now all with university degrees!) 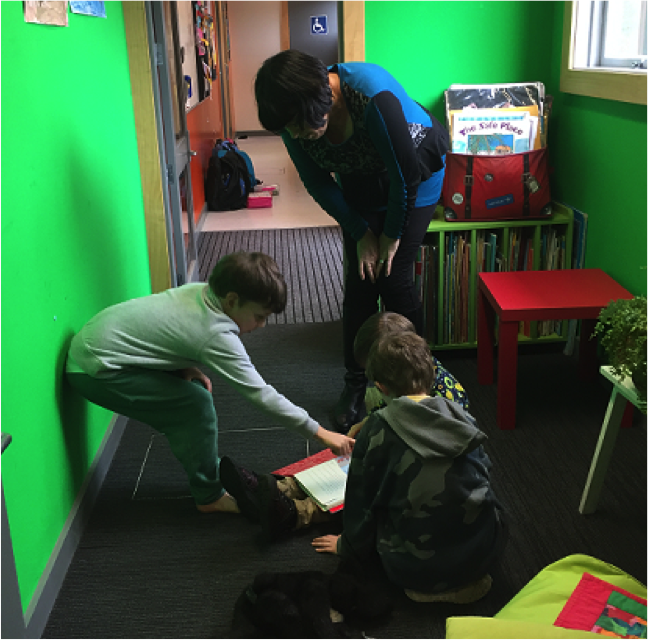 was the obvious love of ‘reading’ and books shared by two struggling readers in the little book alcove. These two were sharing a true joy of a wide range of books. Self-selection of reading material is critical for these kids as is maintaining the joy of ‘reading’ and sharing without correction. Later in the morning I saw Dr A examine his teacher’s mouth and draw the problem (a sore tooth to the back on the right). Dr A, who is ‘below’ in OTJ (Overall Teacher Judgement), LOVED the encouragement to write a prescription for his teacher. The opportunities for learning, for extension at appropriate individual instructional levels, for a well-earned sense of achievement all enhances self-esteem and drives further learning. I came away from Pukerua Bay with a smile on my dial and my head buzzing with ideas for developing ‘games’ that would fit well in this self-directed environment. Appreciating our differences keeps us strong. 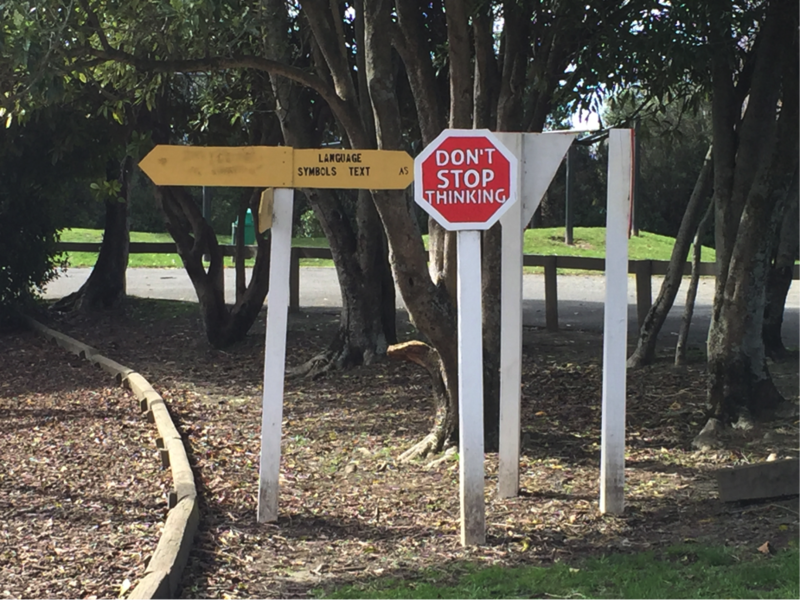 I look forward to keeping in touch with the connections I make and trust that this last term of the New Zealand school year is full and fruitful for you all.